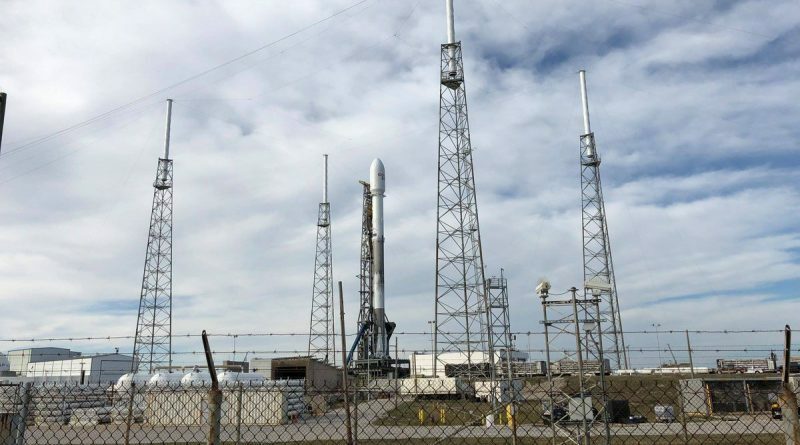 SpaceX delayed the launch of the company’s sixth flight-proven Falcon 9 rocket on Tuesday due to a faulty transducer on the launch vehicle, putting in motion a 24-hour recycle to Wednesday’s backup launch window of 21:25 to 23:46 UTC. 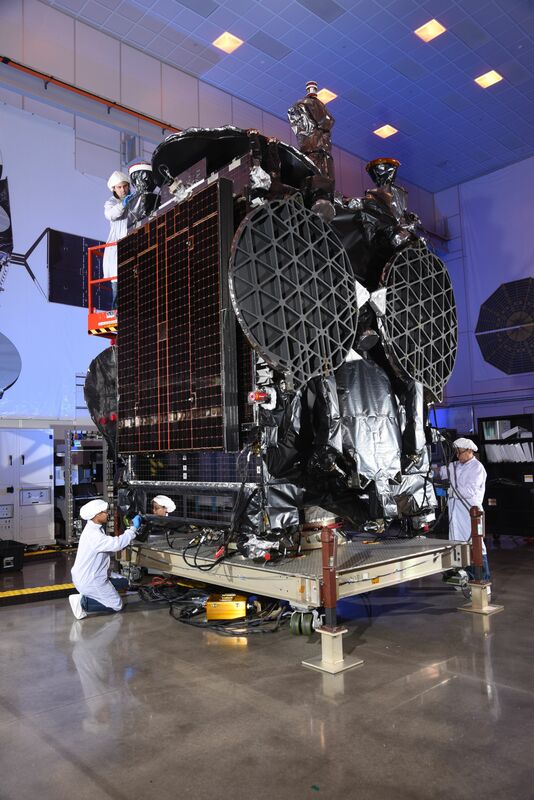 The company’s second mission in 2018 is set to carry the SES 16 / GovSat-1 satellite into a high-energy Supersynchronous Transfer Orbit for operator LuxGovSat. Gusty winds on the ground as well as sporty winds aloft had been a concern for Tuesday’s launch opportunity, but SpaceX continued to press toward liftoff by wheeling the Falcon 9 rocket out to Space Launch Complex 40 in the overnight hours and placing it in its vertical launch position by morning. The early countdown portion – dedicated to launch vehicle checks and final hands-on work at the pad – appeared to go as planned. 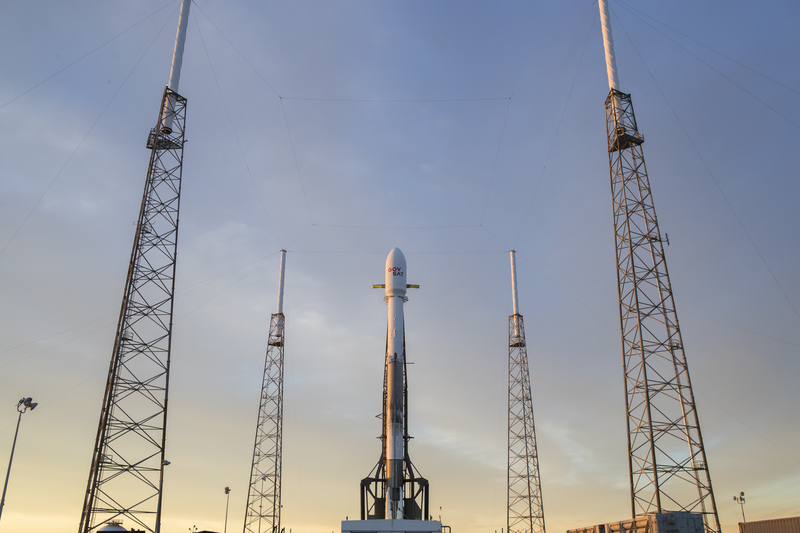 However, SpaceX launch controllers elected to push the day’s T-0 target into the lengthy launch window to wait for winds to subside per the day’s launch forecast that predicted a 60% chance of weather rule violations at the opening of the window and improvement to 40% by the window’s second half. Shortly after entering the hold, the SpaceX team called for a launch scrub, deferring the launch to Wednesday to replace a faulty transducer on the second stage of the launch vehicle. SpaceX did not provide details on the nature of the sensor problem or the system it affects. 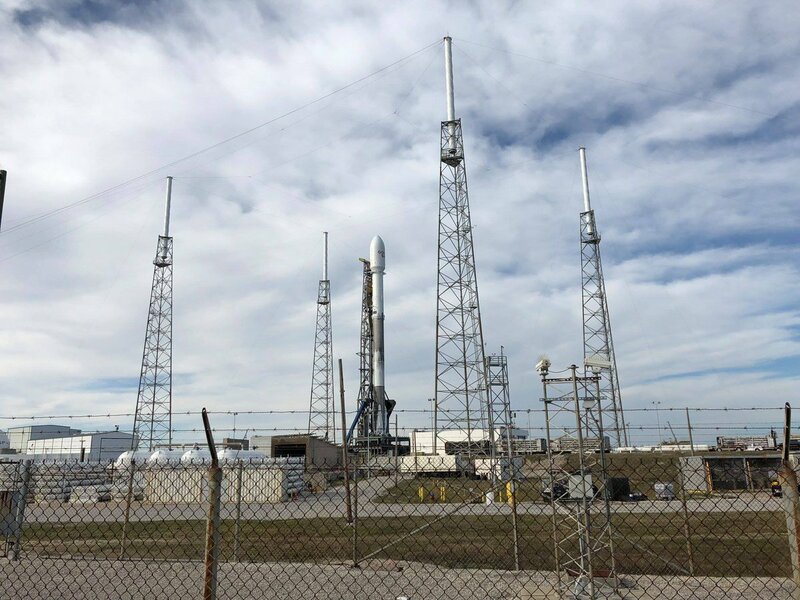 Falcon 9 will be returned to its horizontal position overnight to allow engineers to complete the part replacement before another countdown will be initiated on Wednesday. Meteorologists are much more optimistic for the backup window, looking at a 90% chance of favorable weather as winds continue dropping off overnight. The only concern for Wednesday’s opportunity is a violation of the thick cloud rule as mid-level moisture and easterly winds bring the potential for cloud formation. Upper level winds will also decrease slightly, expected from the west at 100 knots, 40,000 feet in altitude.